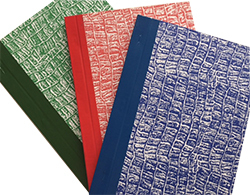 Why not personalise your Quotation Books? Choose from one of our free pre-designed templates, upload your own design or if you need help, we can professionally design your custom made Quotation Books for you (charges apply). Our personalised Quotation Books are cheap compared to our major competitors with no compromise on quality guaranteed.